New nickel plated door plates and crystal knobs installed. These old doors work again. This entry was posted in 1930's bungalow, Doors by curt. Bookmark the permalink. Kinda fancy for me – but then I’m kind of a plain guy. Drooling!!! Where did you find that yumminess?!? Hi TamiLyn I had original glass door knobs I wanted to use, but the back plates were toast. I had to get new knobs and plates from Rejuvination. 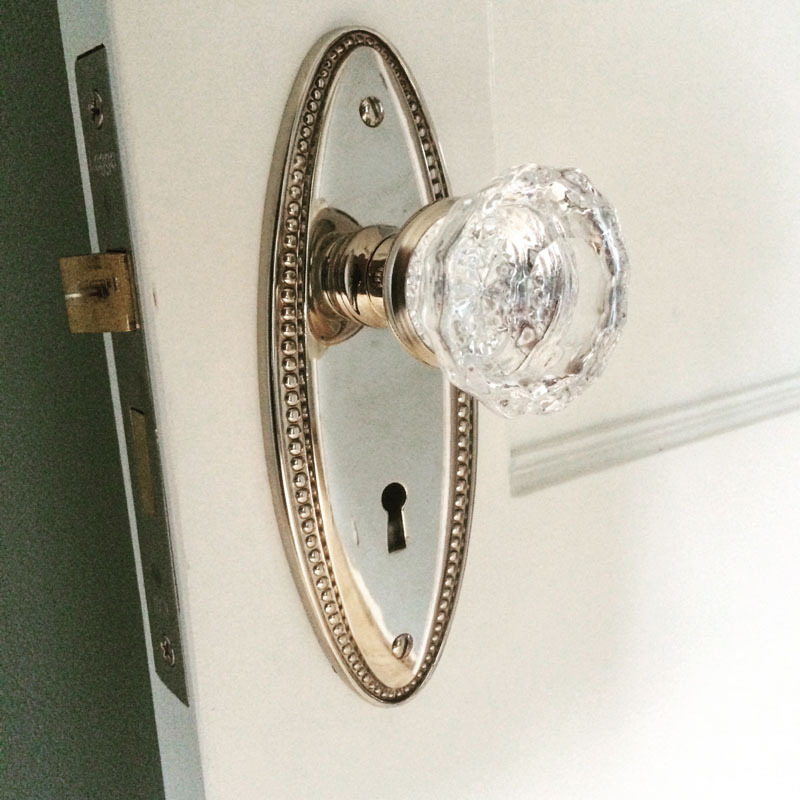 It’s their fluted crystal knob and Colonial Revival back plate. I really love these door handles! Yea! Thanks! A little fancy – but close to the original design. Thanks for the nice comment!This is the year I promised myself we’ll move in. Thanks Kelleylynne! I’m slowly getting to the pretty stuff. The pretty stuff is the best! I can almost smell it, just around the corner!